In June of 2000, the Syrian Arab Republic ( Al Jumhuriyah al Arabiyah as Suriyah ) inaugurated its first new president in years, Bashar al-Assad, son of long-standing president Hafez al-Assad, who had held power since 1970 and the office of president since 1971. Hafez al-Assad died in the same month that his son ascended to office. As with many countries in the region, Syria's road to modern independence began with the dissolution of the Ottoman Empire after World War I. Following the war, the French administered in Syria under a League of Nations mandate until the state's independence April 17, 1946. Some monumental aspects of modern Syrian history include their brief, experimental integration into Egypt as the United Arab Republic (UAR; 1958 to 1961), their loss of the Golan Heights to Israel in the 1967 Arab-Israeli war, and their ongoing stationing of troops in Lebanon since 1976. Syria maintains coastal access to the eastern shore of the Mediterranean Sea between Lebanon in the south and Turkey in the north. To its east lies Iraq, Jordan to the south, Israel in the southwest, and except for the positioning of Syria's coastal region, Lebanon lies to its west. Damascus is the capital. The earliest examples of the Syrian press begin in the early 1900s. Papers were started in Damascus and Aleppo and were published until World War I (1914 to 1918), wherewith they were suppressed. Under Prince Faysal the papers were allowed to print again in 1919 and 1920. The French also emphasized the press, but only provided publishing licenses to Francophiles. However, unlike the Lebanese press, the Syrian press retains few signs of French influence. For 20 years, following Syria's 1946 independence from France, the press maintained a vigorous and independent nature. However, in 1963, with the Baath Party coup, all independent papers were banned. In 1970, when Hafez al-Assad gained power, he extended the government's control of the press to complete dominance in all areas. Thus, since the ascension of the Baath Socialist Party to power, the press has taken on a more socialist structure. Organizations—political, religious, or professional associations—and government ministries primarily produce publications. However, in the initial period of Bashar al-Assad's presidency, an infitah (opening) was begun that allowed for the publishing of the first independent Syrian newspapers in 40 years. These independent publications, as well as the state-run papers, began to engage more substantive and critical issues than had ever been allowed under the rule of Hafez al-Assad, where Syria's media became one of the most highly censored systems in a region of high censorship. One of the independents, the weekly Ad-Doumari ( Lamplighter )— satirical in nature and published by Ali Farzat, one of the Arab world's preeminent cartoonists—on the first day of publication sold out all of its 25,000 first-run copies in a few hours and had to print a second run. This is suggestive of a broad desire of the Syrian people for engaging journalism. However, since the beginning of 2001, the infitah in Syrian media has been essentially halted and in some areas reversed. The five top daily newspapers are Al-Baath,Tishrin, and Ath-Thawra in Damascus; Al-Jamahir al-Arabia in Aleppo; and Al-Fida' in Hama. There are also a number of weeklies, fortnightlies, and other periodicals published. The principle dailies include the following: Al-Baath ( Renaissance; circ. 40,000; Damascus; founded 1946; Arabic; organ of the Baath Socialist Party; Gen. Dir. and Chief Ed. Turki Saqr; Internet, www.albaath.com ), Barq ash-Shimal ( The Syrian Telegraph; circ. 6,400; Aleppo; founded 1978; Arabic; Ed. Maurice Djandji), Al-Fida' ( Redemption; circ. 4,000; Damascus; founded 1963; Arabic; political; publishing concession holder Osman Alouini; Ed. A. Aulwani; published by Al-Wihdat Press, Printing and Publishing Organization; Internet, www.thawra.com/alfida/alfida.htm ), Al-Jamahir al-Arabia ( The Arab People; circ. 10,000; Damascus; founded 1966; Arabic; political; Chief Ed. Mortada Bakach; published by United Association of Journalists; Internet, www.thawra.com/aljmahir/aljmahir.htm ), Al-Oroubat (circ. 5,000; Damascus; Arabic; published by Al-Wihdat Press, Printing and Publishing Organization; Internet, www.thawra.com/alhoroba/alhoroba.htm ), Ash-Shabab ( Youth; circ. 9,000; Aleppo; Arabic; Ed. Muhammad Talas), Syria Times (circ. 15,000; Damascus; Arabic, English; Ed. Fouad Mardoud; published by Tishrin Foundation for Press and Publication; Internet, www.teshreen.com/syriatimes ), Ath-Thawra ( Revolution; circ. 40,000; Damascus; founded 1963; Arabic; political; Ed.-in-Chief Mahmoud Salamah; published by United Association of Journalists; Internet, www.thawra.com ), Tishrin ( October; circ. 50,000; Damascus; founded 1974; Arabic; Chief Ed. M. Kheir Wadi), and Al-Wihdat ( Unity; Latakia; Arabic; published by Al-Wihdat Press, Printing and Publishing Organization). Some of the major weeklies and fortnightlies include the following: Al-Ajoua' ( The Air; Damascus; fortnightly; Arabic; aviation; Ed. Ahmad Allouche), Ad-Doumari ( Lamplighter; Damascus; founded 2001; weekly; Arabic; political satire; privately-owned; Publr. Ali Farzat), Al-Esbou ar-Riadi ( The Sports Week; circ. 14,000; Damascus; weekly; Arabic; sports; Ed. Hasran Al-Bounni), Al-Fursan ( The Cavalry; Damascus; Arabic; political; Ed. Major Rifaat Al-Assad), Homs ( Arabic; Homs; literary; Ed. Phillipe Kaba), Jaysh ash-Sha' ab ( The People's Army; Damascus; founded 1946; fortnightly; Arabic; army; published by the Political Department of the Syrian Army), Kifah al-Oummal al-Ishtiraki ( The Socialist Workers' Struggle; Damascus; weekly; Arabic; labor; Ed. Said Al-Hamami), Al-Masirah ( Progress; Damascus; weekly; Arabic; political; published by the Federation of Youth Organizations), Al-Maukef ar-Riadi ( Sport Stance; circ. 50,000; Damascus; weekly; Arabic; sports), An-Nas ( The People; Aleppo; founded 1953; weekly; Arabic; Publr. Victor Kalous), Nidal al-Fellahin ( Peasants' Struggle; Damascus; weekly; Arabic; peasant workers; Ed. Mansour Abu Al-Hosn), Ar-Riada ( Sport; Damascus; weekly; Arabic; sports; Ed. Ourfane Ubari), As-Sakafat al-Usbouiya ( Weekly Culture; Damascus; weekly; Arabic; cultural; Publr. & Ed. Madhat Akkache), Sawt ash-Shaab ( Voice of the People; Damascus; founded 1937, but publication suspended in 1939, 1941, 1947, and 1958, relaunched in 2001; fortnightly; Arabic; organ of the Communist Party of Syria), Tishrin al-Usbouiya ( October Weekly; Damascus; weekly), Al-Wehdawi ( Union-ist; Damascus; founded 2001; weekly; Arabic; organ of the Arab Socialist Unionist Party), and Al-Yanbu al-Jadid ( New Spring; Homs; weekly; Arabic; literary; Publr. & Ed. Mamdou Al-Kousseir). There are also over 30 periodicals being published in various increments throughout the year. The largest circulating periodical is Al-Mouhandis al-Arabi ( The Arab Engineer ) with a circulation of 50,000. One other highly influential publication is Syrie et Monde Arabe. Founded in 1952, it is a monthly economic, political, and statistical survey produced by the Office Arabe de Presse et de Documentation in English and French. Syria functions under a rather unstable economic framework. Agriculture is the dominant economic sector utilizing 40 percent of the laborforce, but 80 percent of its land remains dependent on rainfall for appropriate production. Its infrastructure and technological bases are insufficient and outmoded and the educational system, supplying the upcoming workers of the country, is lacking. Oil production has helped stabilize and subsidize the economy during much of the twentieth century and into the twenty-first, making up 65 percent of Syria's export commodity base, but production is leveling off. It is clear that state control is holding back the economy in much the same way that its control is hindering freedom of expression in the press. Al-Assad is said to be an advocate of a free-market economy, so there is potential for privatization in the future. Private presses were legalized on September 22, 2001, under Decree 50. However, the restrictive nature of legislation concerning content all but erases any apparent gains in freedom of expression this legalization would normally imply. Interestingly, Decree 50 states that private presses are to be unrestricted in their operations, but then it later states that they have to be licensed and can lose this license and face heavy fines (between 500,000 and 1 million lira or US$9,456 and US$18,913—consider that average per capita income was estimated to be US$1,000 in 2000) and/or up to three years imprisonment if they report on military affairs, incite revolt or in any way threaten the "national interest," contact foreign nations, accept money from foreign sources, libel or de-fame, print "falsehoods," or "fabricate reports." The prime minister can also reject applications for licenses at any time for the sake of "public interest." Additionally, journalists are required by law to divulge their sources when requested to do so by authorities, and a 1951 media law prohibits any kind of private broadcasting by radio or by television. As noted by the Committee for the Defense of Democratic Freedoms and Human Rights, since the 1963 imposition of martial law Syrian citizens have not had "the right to form associations, organizations or political parties in order to express or defend their opinions." Government authorities monitor e-mail. As an example, in December, 2000, a woman was held by security for several months after forwarding an e-mail with an off-color cartoon of al-Assad and the Lebanese president Emile Lahoud. She was released late in 2001. The government also blocks numerous Internet sites. Foreign publications are routinely censored. They must be preemptively submitted to the Ministry of Information for approval before distribution. In August, 1999, a five-year ban was repealed, once again allowing the entry of Jordanian newspapers into the country. While arbitrary detention and other psychological and physical abuses are perpetrated on journalists, often causing self-imposed censorship even when it is not being explicitly applied by the government, one case in Syria has stood out. Nizar Nayyouf, the previous 43-year-old editor-in-chief of the monthly Sawt al-Democratiyya ( The Democratic Vote ), was a leading member of the Independent Committees for the Defense of Democratic Freedoms and Human Rights in Syria. He was arrested in January, 1992, due to his writings exposing human rights abuses in Syria. He was not released until May 6, 2001, on the occasion of Pope John Paul II's visit to the country. Nayyouf suffered over nine years imprisonment for his writings in the monthly Sawt al-Democratiyya. During his time in prison he suffered from Hodgkin's disease, lymph cancer, liver disease, dermatitis, ulcers, and partial paralyzation; treatment only being offered to him on the contingency that he admit to creating "false statements" about human rights abuses in Syria, reject human rights declarations he made, and pledge to refrain from further political activity. He refused these terms throughout his imprisonment. Nayyouf's dermatitis stems from the cigarette burns he received from his captors. His ulcers are directly related to hunger strikes that he has undertaken to protest both his captivity and the nature of it and his food being soiled by his jailers. His paralyzation stems from his spine being damaged from being subjected to the "German Chair"—a medieval-style rack used to hyperextend a victim's spine and put extreme pressure on the neck and limbs—and multiple beatings. He was also beaten with an iron pipe, thrown in an electrical bath, hung by his feet for two to three hours a day, and urinated on in a mock "baptism" after refusing to pray before a portrait of Hafez al-Assad. His confinement consisted of a two-anda-half by three-meter solitary cell without sunlight in which it was only possible for him to crawl due to his conditions. Writing of his prison, Nayyouf stated that, "Between three and five people die here from torture not every year, but every day." After his release Syrian authorities continued to harass Nayyouf and also began to subject members of his family to harassment and intimidation. For his courage, Nayyouf has been awarded numerous international human rights awards from all over the world, including the 1998 Human Rights Prize from Reporters Sans Frontiers, a Hellman-Hammett grant from Human Rights Watch, one of the International Press Institute's "50 World Press Freedom Heroes" of 2000, the PEN American Center's Freedom-to-Write Award, and the World Association of Newspapers' 2000 Golden Pen of Freedom Award. Much of the world took up Nayyouf's cause and it is likely that he is alive today because of these efforts. Nayyouf is an extreme example of censorship practices that have to be endured and combated by the national journalists of Syria. Syrian attitude toward foreign media ranges from disgruntled toleration to hostile. Toleration is accorded so long as the press/media tend not to publish/broadcast any negative stories concerning anything related to Syria. However, as negative stories are often produced, papers are banned, broadcast signals are jammed, and individual journalists are harassed. As a case in point, the International Press Institute notes in its 2001 World Press Freedom Review that, "in [August and September] 2001, several foreign media correspondents were regularly threatened by Syrian authorities. The harassment was especially acute when trying to cover the arrests of opposition leaders … some foreign journalists were warned not to issue reports." A positive note is that as of July 2001, foreign journalists (non-Syrians and non-Arabs) on assignment in Syria are no longer obliged to report to the Ministry of Information. Previously the intelligence police stamped journalists' entry cards, which then also required approval from the information ministry. Without following these procedures a journalist would be barred from leaving Syria. All this being the case, there are eight relatively permanent foreign press bureaus located in Syria, as well as other short-term journalists always transitioning in and out of the country—especially those covering Syria from Beirut. The bureaus include: Agencia EFE (Spain), Agence France-Presse [AFP], Agenzia Nazionale Stampa Associata [ANSA] (Italy), Allgemeiner Deutscher Nachrichtendienst [ADN] (Germany), Associated Press [AP] (USA), Deutsche Presse-Agentur [DPA] (Germany), Kuwait News Agency, and Reuters. There is one government-operated news agency: Syrian Arab News Agency (SANA). Founded June 24, 1965, as implementation of Decree N.150, it is one of the main sources of news to foreign agencies transmitting in English and French. It has 16 offices abroad (10 in Arab countries) and staffs 18 foreign correspondents. All considered, SANA has 370 employees of whom 200 are journalists. It is available on the Internet at www.sanasyria.com and at www.sana.org . Approximately 44 broadcast stations are operating in conjunction with 17 repeaters all broadcasting to 1.5 million television sets. Beginning in 1960 the Directorate-General of Radio and Television added "television" to its title and became responsible for all aspects of broadcasting. However, while periodically jamming signals, Syria tends to take a hands-off approach concerning citizens' reception of regional and international satellite television broadcasts. 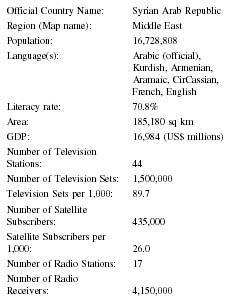 Satellite broadcasts provide Syrians with significantly increased access to information about the world as well as about their own country. A recent survey covering Damascus and Aleppo concluded that approximately 22 percent of consumers have satellite dishes (and this does not take group viewing of programs into consideration, which can greatly extend the influence of the phenomenon). The London-based Arab News Network (ANN) and Qatar's Al-Jazeera are two examples of available broadcasts. In 1994 the government threatened to both regulate and seize satellite dishes, but the idea has never been implemented. Radio broadcast is carried out on 14 AM and two FM frequencies and one short-wave frequency broadcasting to approximately 4.15 million radios. The Directorate-General of Radio and Television is responsible for the oversight and production of radio broadcasting. This section of the agency began in 1945. It broadcasts in a number of languages: Arabic, French, English, Russian, German, Spanish, Portuguese, Hebrew, Polish, Turkish, and Bulgarian. Khudr Oman is the Director-General and the director is Safwan Ghanim. The government is the only Internet Service Provider (ISP) in the country servicing 20,000 users as of 2000. There is estimated to be several thousand other Internet users connecting via ISPs in Jordan and Lebanon in order to avoid Syrian censorship regulations. Public Internet access and use has been expanding in recent years, and as President Bashar al-Assad has been labeled a computer aficionado this is likely to continue. 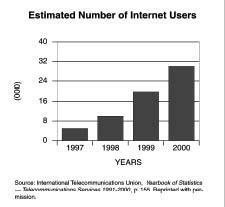 While still remaining short of the goal, in 2000 Reuters reported al-Assad as saying he desired to add 200,000 new Internet connections by 2001. A board member of the Syrian Computer Society [SCS] (of which al-Assad used to be the head) followed up al-Assad's statement by further noting that the 200,000 connections would be in addition to 7,000 already in existence. Other encouraging words concerning the Internet, given by Assad in an April, 2000, interview with the Washington Post, were, "as a point of principle I would like everybody to be able to see everything" and "the more you see, the more you improve." Access to international sites remains relatively unencumbered, but sites about Israel, sexual matters, human rights abuses in Syria, free e-mail sites, and some newspapers are routinely blocked by the government. Yet many of the restrictions amount to little more than minor inconveniences as they are easily bypassed through simple navigation. There are some government-licensed Internet cafés in use. The Communications Institute (founded 1970) located in Damascus offers a two-year course of study and the Ministry of Information provides brief courses for practicing journalists. Excepting the hopes fostered during the initial months of Bashar al-Assad's rise to power in 2000, the outlook for Syrian media and press remains unpromising. The government's hold over all areas of the media shows no signs of changing as will thus continue to stifle the civic possibilities of its people and country. A remaining hope is that Bashar al-Assad's initial attempts at infitah were genuine and that the longer he stays in power, the greater his influence will become and this influence will eventually initiate another wave of infitah. Until then, on behalf of human dignity and the human right of freedom of expression, it remains imperative for human rights organizations to continue supporting the journalists who are courageous enough to write and speak their conscience no matter the cost. BBC News. Country Profiles. Available from http://news.bbc.co.uk/hi/english/world/middle_east/country_profiles . Boyd, Douglas. Broadcasting in the Arab World: A Survey of the Electronic Media in theMiddle East, 3rd ed. Ames, IA: Iowa State University Press, 1999. Campagna, Joel. Stop Signs. Committee to Protect Journalists—Press Freedom Reports from Around the World. Available from http://www.cpj.org/Briefings/2001/ Syria_sept01/Syria_sept01.html . Camera—The Committee for Accuracy in Middle East Reporting in America. Available from http:// world.std.com/ücamera/ . Centre for Media Freedom—Middle East and North Africa (CMF MENA). Available from http:// www.cmfmena.org . Central Intelligence Agency (CIA). 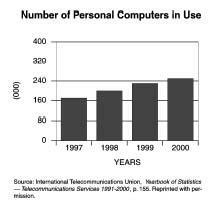 The World Factbook 2001. Available from http://www.cia.gov/cia/ publications/factbook/ . Columbia Encyclopedia. Syria. 6th ed., 2001. Available from http://www.bartleby.com/65/tu/Turkey.html . Committee to Protect Journalists (CPJ). Available from http://www.cpj.org . Freedom House. Freedom in the World. Available from- http://www.freedomhouse.org/research/freeworld/2002/ countryratings/syria.html . The Gulf/2000 Project. Available from http://gulf2000.columbia.edu . International Press Institute. World Press Freedom Review. Available from http://www.freemedia.at/wpfr/ world.html . Library of Congress. Country Studies. Available from http://lcweb2.loc.gov/frd/cs/ . Maher, Joanne, ed. Regional Surveys of the World: The Middle East and North Africa 2002, 48thed. London: Europa Publications, 2001. Middle East Archives 2002. Available from http:// www.rsf.fr . Reporters Sans Frontieres. Syria Annual Report 2002 . Available from http://www.rsf.fr . Russell, Malcom. The Middle East and South Asia 2001, 35th ed. Harpers Ferry, WV: UnitedBook Press, Inc., 2001. Sussman, Leonard, and Karin Karlekar, eds. The Annual Survey of Press Freedom 2002. New York: Freedom House, 2002. Syria Chamber of Commerce. About Syria. Available from http://www.fedcommsyr.org/aboutsyria.htm . SyriaLive.Net . Syrian Papers. Available from http://www.syrialive.net/Media/Newspapers/national/NewsPapers.htm . U.S. Department of State. Background Note: Syria. Available from http://www.state.gov/r/pa/eo/bgn . World Bank. Data and Statistics. Available from http:// www.worldbank.org/data/countrydata/countrydata.html . Zisser, Eyal. Asad's Legacy: Syria in Transition. London: C. Hurst & Co., 2000.